Dustin is a Doctor of Physical Therapy and Lead Program Developer at 5 Star Training Systems as well as Health and Fitness Director for Proficient Rehabilitation. He graduated from the University of Texas Health Science Center at San Antonio. He has worked with professional athletes, Olympians, as well as the general population. 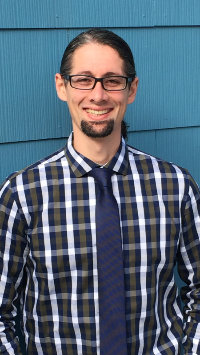 Dustin has acquired a Fellowship of Manual and Orthopedic Physical therapy from the Institute for Athlete Regeneration and is certified in the Functional Movement Screen as well as a level 2 crossfit trainer. Dustin enjoys making a difference in people’s lives and in the community. Jason is a Doctor of Physical Therapy and assists in program development for 5 Star Training Systems, as well as, Rehabilitation Director at Proficient Rehabilitation. He graduated from Texas Woman's University- Houston Campus with his Doctorate in Physical Therapy and completed his Bachelors Degree in Exercise Science and Fitness Managment at Lamar University. He has worked with professional athletes to recreational athletes for rehabilitation and performance enhancement. Jason has completed requirements of the OPTIM fellowship program and emphasizes sport and orthopedic care in his physical therapy practice. Jason played college basketball for Lamar State College Port Arthur and brings an extensive understanding of athletic competition to our program. Jason enjoys teaching athletes about fitness and cognitive components of competition that helps them grow in sport and beyond. Traci is a Physical Therapy Assistant and contributor in program development for 5 Star Training Systems. She completed her Physical Therapy Assistant Degree at Bossier Parish Community College and earned a bachelor's degree in Community Health at LSU- Shreveport where she also competed in Collegiate National Olympic Weightlifting for 2 years. Traci is currently enrolled at UTMB Galveston pursuing her Doctor of Physical Therapy degree and currently practices as a PTA in the home health and outpatient settings. Traci’s experience in collegiate level weightlifting contributes to our unique dynamic approach to sport performance training. She enjoys empowering athletes through a goal driven training paradigm.